Marilyn Johnson | Johnson & Johnson, Ltd.
Marilyn Johnson is a partner at Johnson & Johnson, Ltd. She has been practicing law for over 30 years, concentrating in the areas of divorce, custody, support, and visitation. 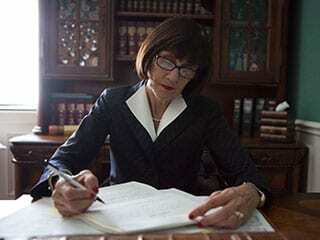 She has conducted numerous trials and hearings involving large marital estates and complex child custody issues. Marilyn Johnson received a Bachelor of Arts in Education from the University of Illinois and a Master of Science in Education from Chicago State University. She received a Juris Doctor from Loyola University School of Law. She is admitted to practice law in the State of Illinois and U.S. District Court in the Northern District of Illinois. Marilyn Johnson is a member of the Illinois State Bar Association, Will County Bar Association, and Advocates Society. Prior to practicing law, Marilyn Johnson was a special education teacher who worked with children with learning disabilities and emotional and behavioral problems. Her vast experience as a lawyer, teacher, and mother has enabled her to acquire a deep, compassionate understanding of the family unit, which has enabled her to counsel clients through the most difficult times. Marilyn Johnson’s practice of law is built on integrity and respect of all and a philosophy to attempt to settle each and every one of her cases, prior to litigating, in order to protect the family both financially and emotionally. If you would like to schedule a consultation with Ms. Johnson, then please contact our office today.